Posted on March 23, 2016 by Sandwich Learns Together/ SPS in Celebrate SPS! Oak Ridge students and staff celebrated Dr. Seuss’s birthday and Read Across America from March 2nd to March 4th Festivities included a “Wacky Wednesday” dress up day, visits by the Cat in the Hat and Thing 1 to grades 3 and 4 on Thursday, topped off by guest readers from town and school community members in classrooms on Friday. 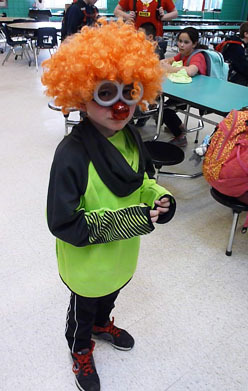 Throughout the week, classroom teachers and students worked together to design and construct “Seuss-like” door displays as part of a door decorating contest. 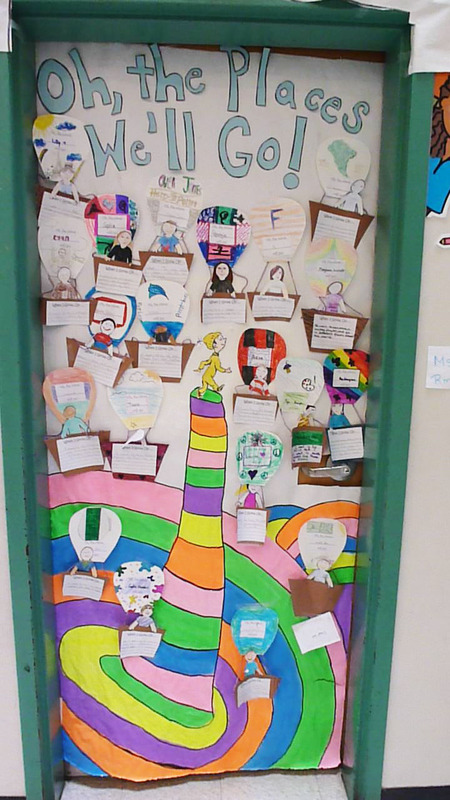 While all the doors were unique and special in their own, wonderful way, Mrs. Rider’s grade three “be yourself” theme rose to the top! 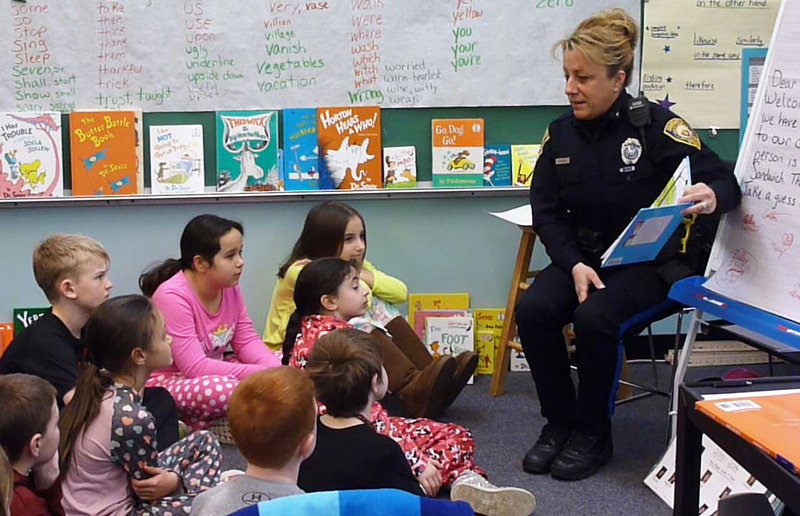 Her students were awarded certificates toward the purchase of books at the recent spring Scholastic Book Fair. 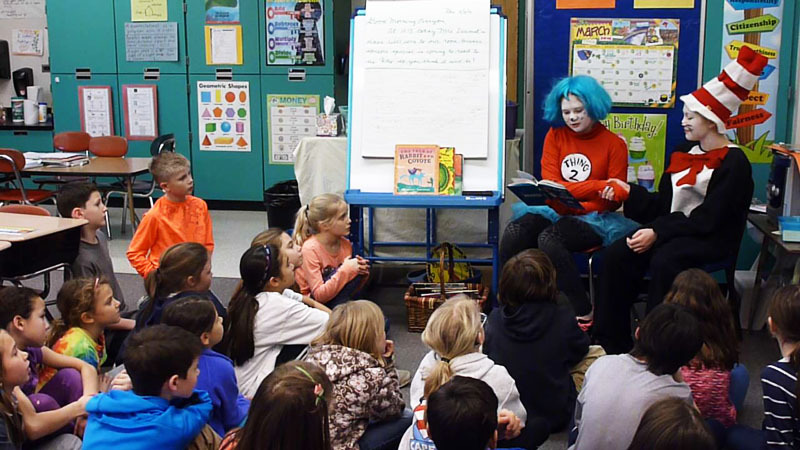 Many thanks to all who decorated, came to read, and got in the spirit of this tribute to a celebrated children’s author and to the joy of reading! 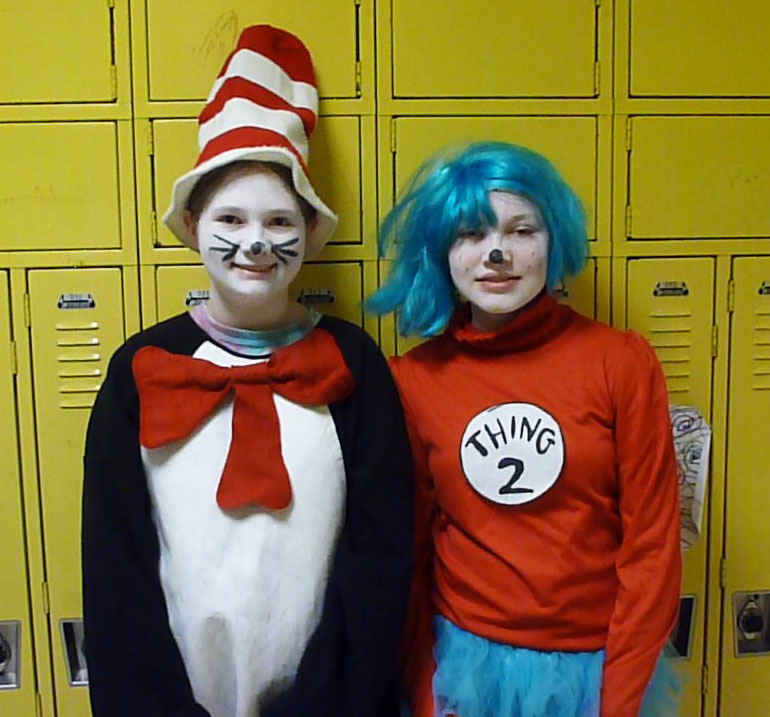 Oak Ridge 6th Graders get into the Dr. Seuss Spirit!